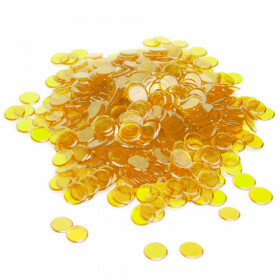 Whether you are playing for fun or prizes, everything you need to play a great bingo game is included in this set! 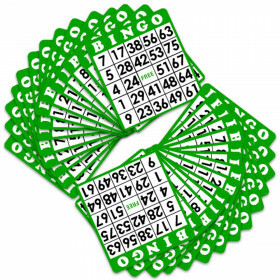 Each game contains a bingo cage, bingo balls, 18 bingo cards, bingo ball holder card and 150 bingo card markers. 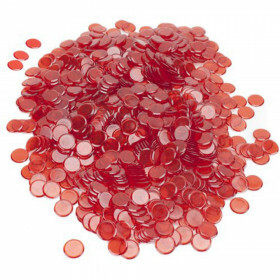 Everything you need for a fun night of Bingo, plus instructions! 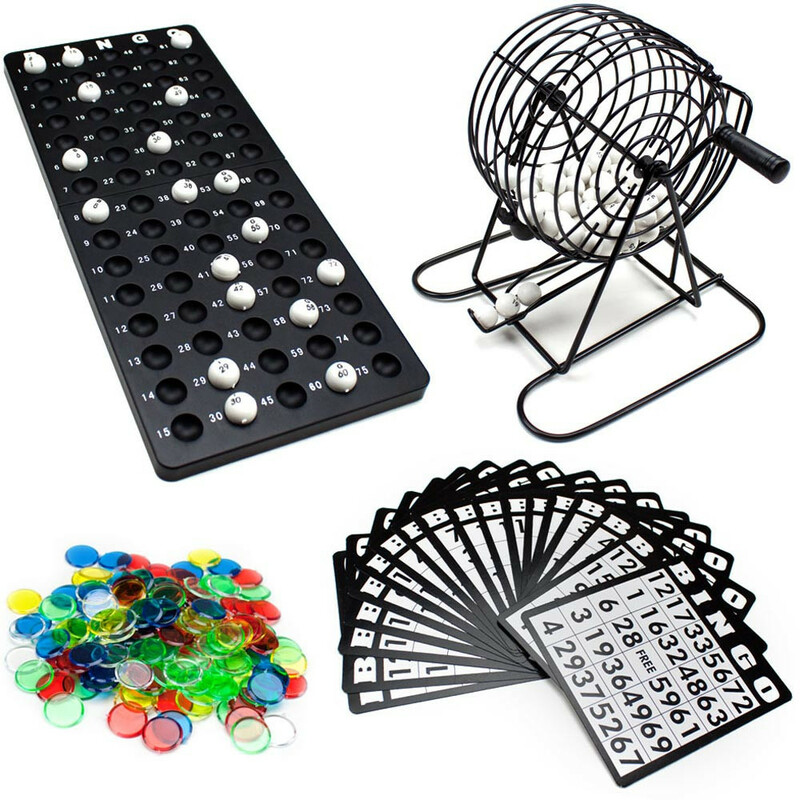 Includes 18 Bingo cards, 150 rainbow chips, 1 plastic ball holder, 1 metal cage, and 75 plastic balls. 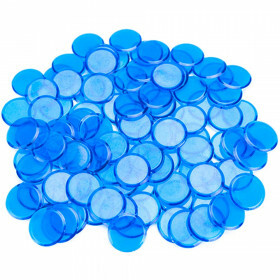 B-I-N-G-O! 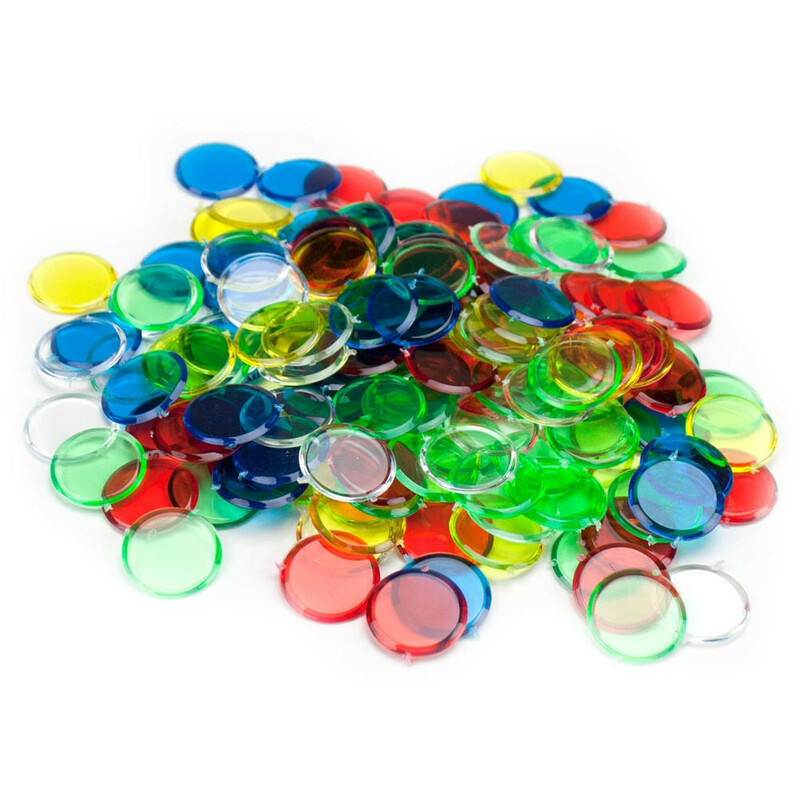 Bingo is a classically fun game played everywhere from church fundraisers to elementary school classrooms. 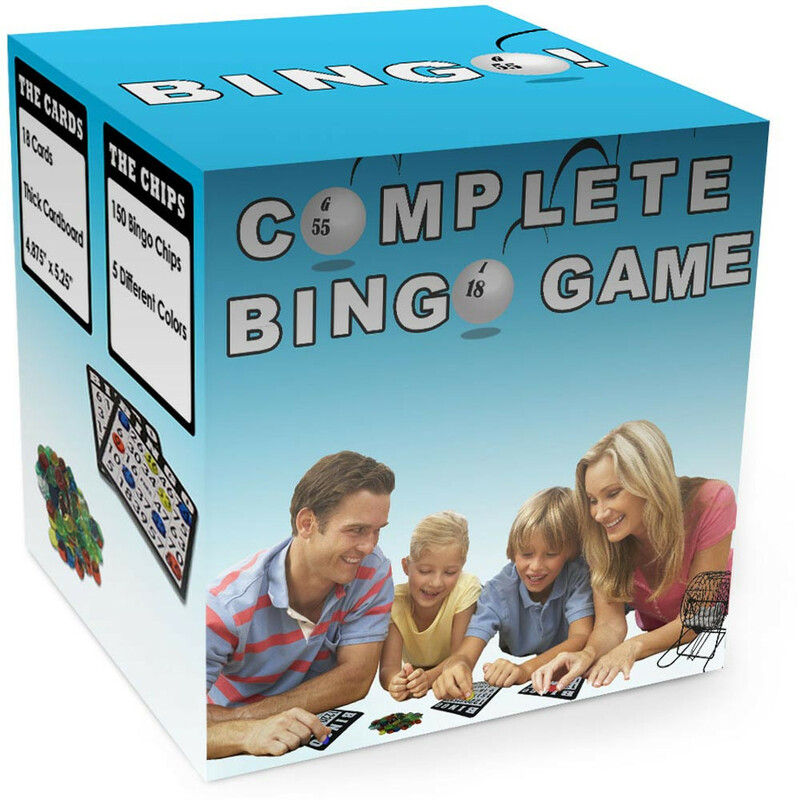 Whether you are playing for fun or prizes, everything you need to play a great bingo game is included in this set! 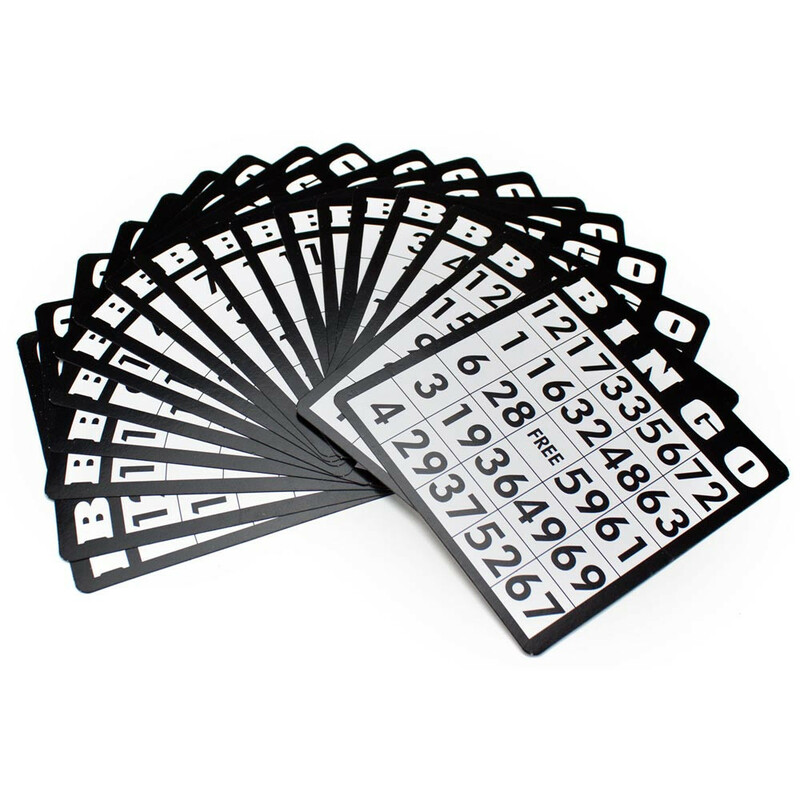 Each game contains a bingo cage, bingo balls, 18 bingo cards, bingo ball holder card and 150 bingo card markers. 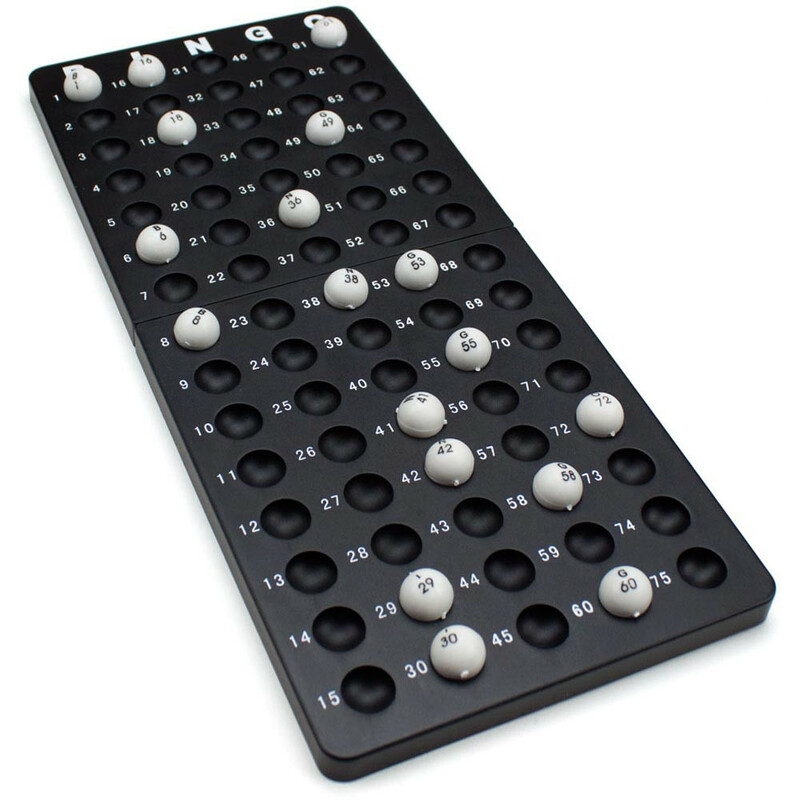 The bingo cage is made of metal. It is 8" tall and 8" wide at the base. The cage itself is 5 1/2" tall and 3 1/2" wide. 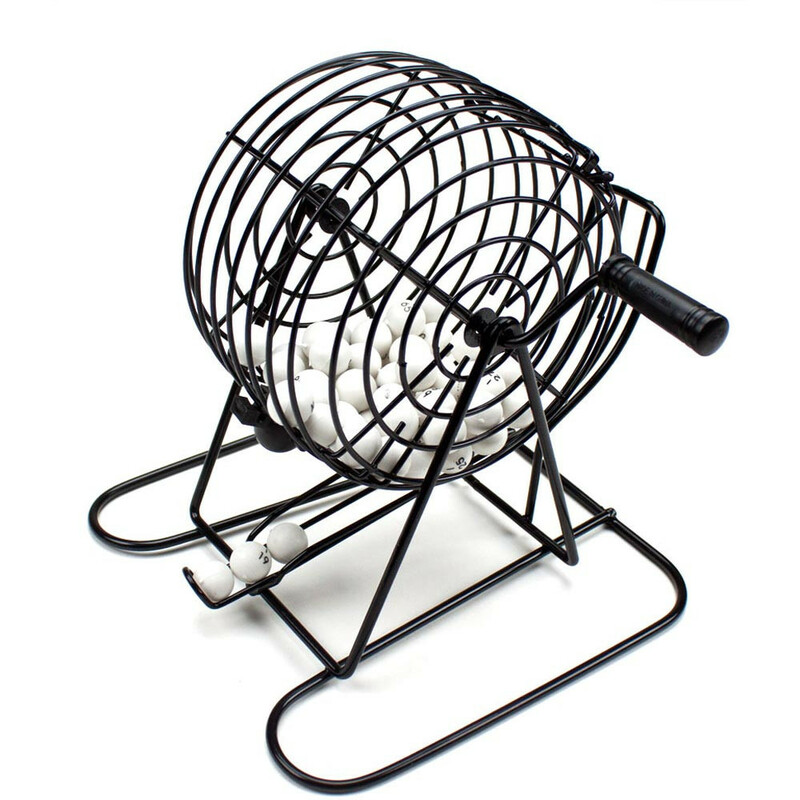 The cage spins and has an opening that plucks one ball from the bunch and sends it down the chute to be called. 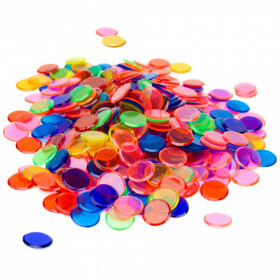 The bingo cards are 5 1/4" tall and 4 3/4" wide. 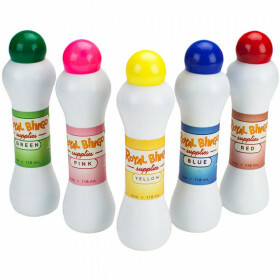 The markers come in various colors and are translucent.